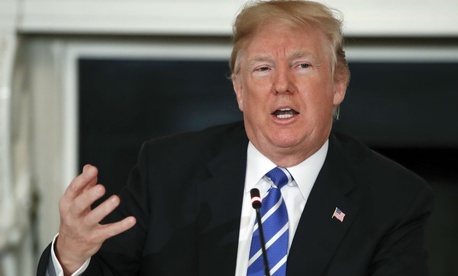 President Trump proposed major reforms to the civil service in his fiscal 2019 budget request, focusing on streamlining the hiring and firing process, transitioning current employees to new federal jobs and minimizing the influence of labor groups. The blueprint largely did not spell out the specifics in these areas, but laid out a broad vision for a “modern workforce.” The budget repeatedly noted the president’s priority to trim agency rolls across government, but also suggested agencies find new positions for workers whose jobs have or will become obsolete. The administration will invest in “reskilling the workforce to meet current needs,” the president said in the document. “Current employees can shift from legacy positions into emerging fields in which the government faces shortages, including data analysis, cybersecurity and other IT disciplines,” the White House wrote. The White House acknowledged that a “vast majority of employees uphold their oath of office and work diligently,” but said too many federal workers are “unable or unwilling to perform their jobs at acceptable levels.” It noted the various avenues employees have to appeal negative personnel actions and the propensity of agencies to settle cases despite the evidence they hold. Too many employees receive top performance reviews, the administration said, which further exacerbates agencies' inability to identify and remove bad workers. The administration suggested its reforms would ultimately help the good workers across federal agencies be even more effective. The administration plans to announce more specific strategies next month to advance its management priorities, including “concrete goals” and “trackable metrics.” They will include “developing a workforce for 21st century” and shifting employees from low-value to high-value work.